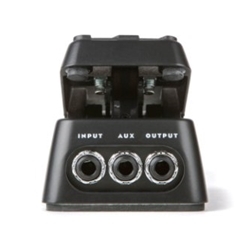 Control your volume and FX parameters without crowding your pedalboard. Saving space doesn’t mean skimping on durability or functionality--the DVP4 Mini Volume (X) Pedal does everything that the larger DVP3 does at half the size, and it’s just as durable and solidly built with a lightweight aluminum chassis, aggressive non-slip tread, and our patented Low Friction Band-Drive for a smooth range of motion and consistent, reliable performance. For maximum comfort and precision, the DVP4’s rocker tension is fully adjustable.